The MEALenium Project is taking a healthier step to improve the condition of their chosen community. 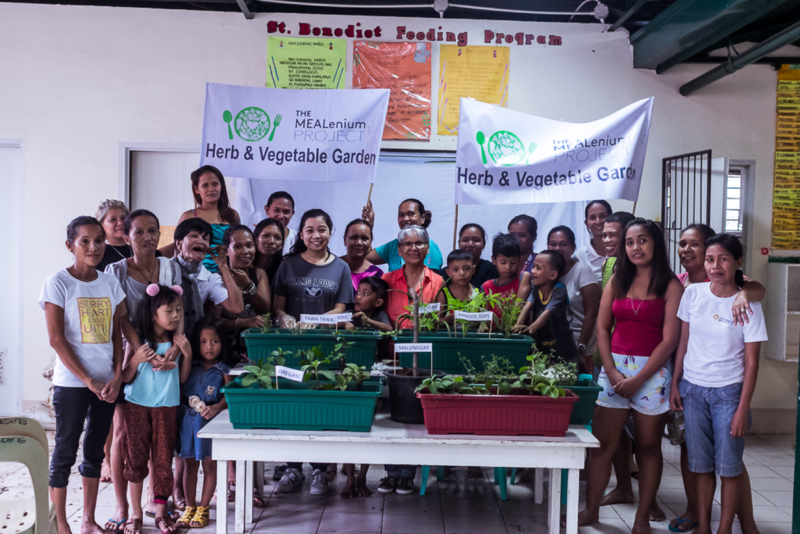 In addition to the feeding program, 2018 Feeding Program Chair, Alexa Isabella Kahn recently launched the Herbs and Vegetables Garden Project that aims to educate the community about the benefits of Herbs and Vegetables for overall nutrition and as medicinal cures for common illnesses such as cough, colds and skin rashes. The Herbs and Garden Project is the brainchild of The MEALenium Project’s present Feeding Program Chair, Alexa Isabella Kahn. She was motivated to undertake this project after noticing the high cost of medicines in the community, which many of their beneficiaries cannot afford. In photo: Alexa Kahn teaching the kids how to plant aloe vera that can be used to treat skin rashes. Kahn hopes that this addition will have a lasting effect on the Payatas community in the Philippines. The community now has their own source of nutritious vegetables for their meals, and highly effective sources of vitamins as well as cures for their common diseases.